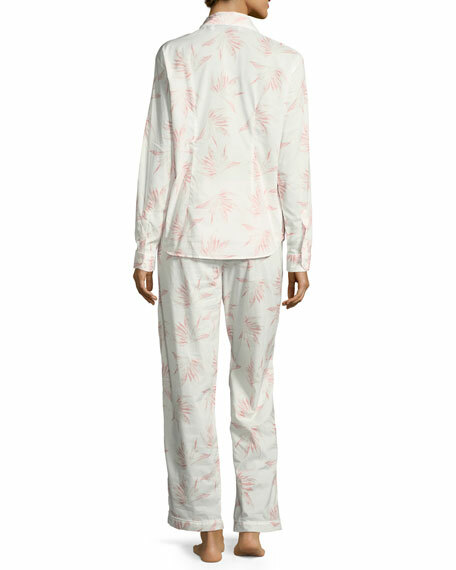 Desmond & Dempsey "Deia" pajama set. Notched lapel; mother of pearl button front. Cosabella "Pret-a-Porter" tap short with lace trim. Elasticized band sits below waist. Relaxed silhouette. Dolphin hem. Pull-on style. Modal/nylon/spandex/polyester/viscose. Hand wash. Made in Italy. Eberjey "Lucie" shorts with lace trim. Elasticized band sits below natural waist. Straight, relaxed legs. Dolphin hem. Pull-on style. Modal/spandex; nylon/spandex trim. Imported. Top sold separately. 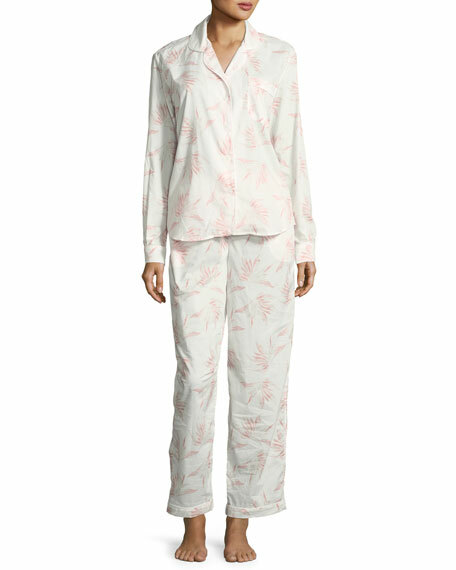 Josie Natori "Key Essentials" lounge shorts in charmeuse with layering detail at side. Waist elasticized at back. Relaxed, straight legs. Pull-on style. Silk. Imported. Lise Charmel "Splendeur" lounge/pajama shorts. Sits at natural waist. Slim, Calais lace-trim legs. Pull-on style. Silk/cotton/nylon. Made in Bulgaria.